The new UIP book The Science of Sympathy takes readers back to the Victorian Era and into the arguments over sympathy’s place in Darwinist reconsiderations of science and humanity. Charles Darwin placed sympathy at the crux of morality in a civilized human society. His idea buttressed the belief that white, upper-class, educated men deserved their sense of superiority by virtue of good breeding. It also implied that societal progress could be steered by envisioning a new blueprint for sympathy that redefined moral actions carried out in sympathy’s name. 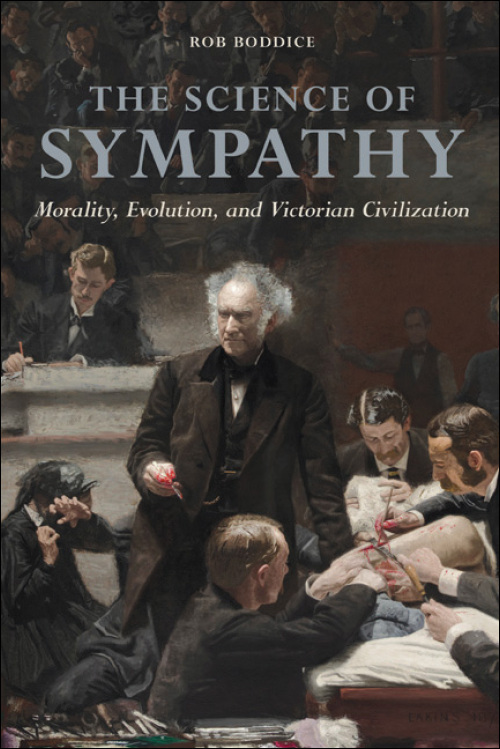 Rob Boddice joins a daring intellectual history of sympathy to a portrait of how the first Darwinists defined and employed it. As Boddice shows, their interpretations of Darwin’s ideas sparked a cacophonous discourse intent on displacing previous notions of sympathy. Scientific and medical progress demanded that “cruel” practices like vivisection and compulsory vaccination be seen as moral for their ultimate goal of alleviating suffering. Some even saw the so-called unfit—natural targets of sympathy—as a danger to society and encouraged procreation by the “fit” alone. Right or wrong, these early Darwinists formed a moral economy that acted on a new system of ethics, reconceptualized obligations, and executed new duties. Boddice persuasively argues that the bizarre, even dangerous formulations of sympathy they invented influence society and civilization in the present day.